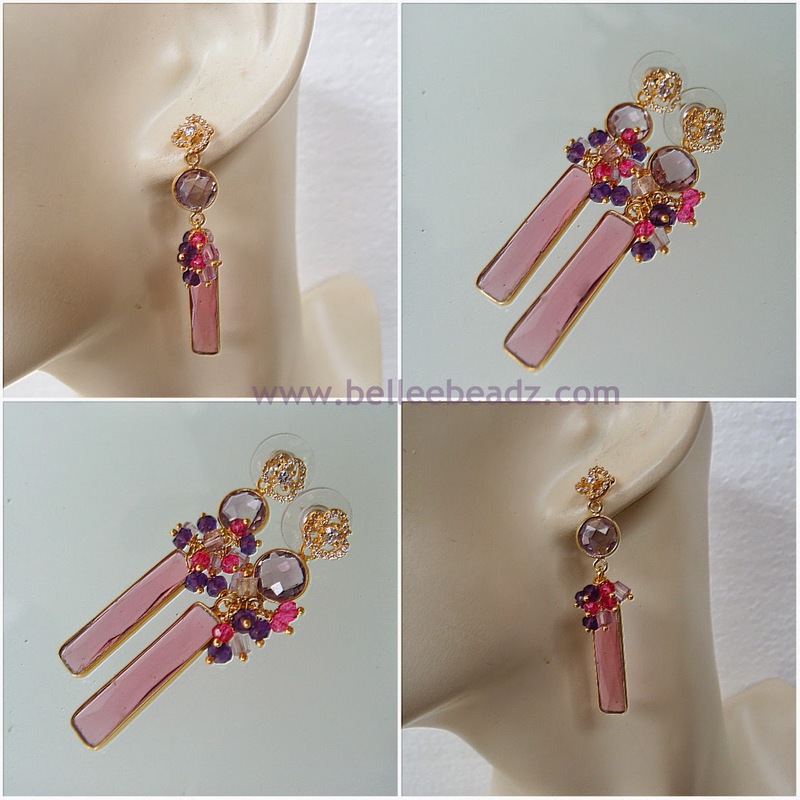 Now this is a cheery creation comprising pink hydro quartz faceted elongated brios, about 3cm in length if you include the loops and gorgeous clean and clear faceted amethyst coins about 8mm in diameter. In the centre of these two sets of stones I've added a basketful of berries and cherries.....ametrine tubes, amethyst and pink topaz rondells. Total length of this creation is 5cm.